Pull out your your rouge blouse, cherry button up sweater or scarlet turtleneck dress cause’ its rockin red Friday, ladies. All you have to do to back two good causes is play ‘lady in red’ for the day. Real Housewives of Atlanta star Nene Leakes took it one step farther by kicking off New York Fashion Week with Red Dress Heart Truth show. The glam-mom strutted down the catwalk rocking a Dolce & Gabbana off-the-shoulder dress to benefit the Go Red for Women/The Heart Truth Red Dress Collection Fashion show to support awareness for the No. 1 killer of women in the U.S.: heart disease. The American Association of Heart Disease sponsored the annual Go Red Movement to sound the alarm on this health issue. True Blood vampress Rutina Wesley dressed up in a Max Azria candy-stripper peek-a-boo halter dress as she sashayed down the runway in support of a life-saving cause. Actress and wife of Laurence Fishburne, Gina Torres werked it on the runway wearing Marchesa sweetheart ruffled gown. 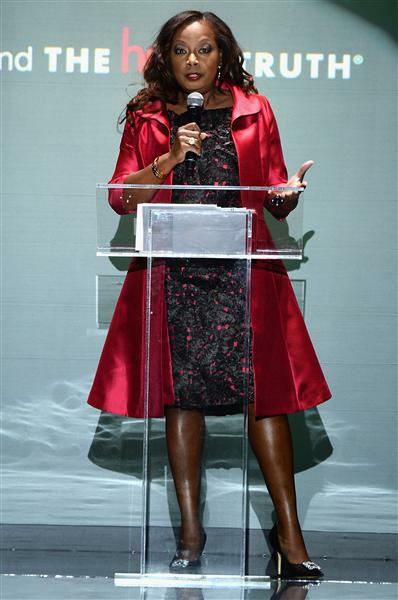 American Heart Association Volunteer Star Jones was a speaker at the show last night (nice cherry trench, esquire). She is also a survivor of heart disease. In 2010 the attorney/talk show host learned she had heart disease and had to have open heart surgery to repair a valve. After surgery she did 360º lifestyle change with diet and exercise. There is another important cause we need to grab our red cloaks for. 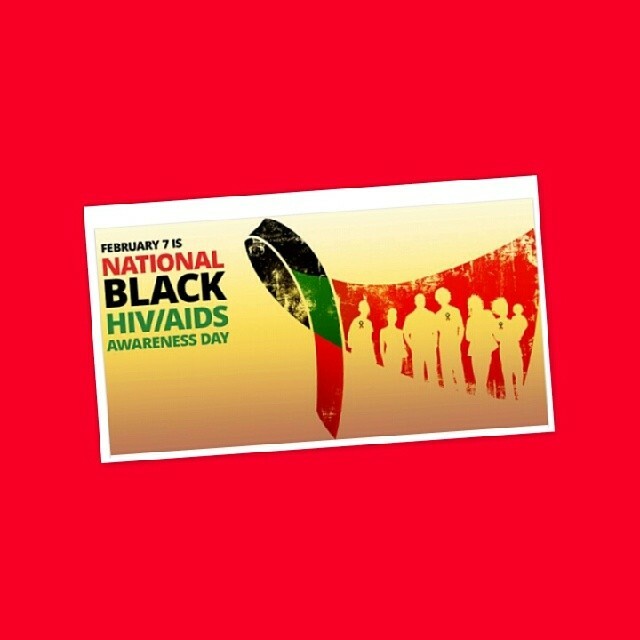 It’s National Black HIV/AIDS Awareness Day. Remember 11-year-old HIV/AIDS activist Hydeia Broadbent? The little girl with the hoop through her nose that was lecturing us all on prevention against HIV/AIDS. Well, she’s all grown up and still speaking on the important topic of HIV/AIDS in the Black community. Hydeia is on a college tour urging survivors, activists and supporters not to forget today’s meaning. IF YOU BL==KED: Who wants to meet Magic Johnson’s wife? Well, if you live in or around Topanga, CA you’re in luck. Cookie Johnson will be at Neiman Marcus tomorrow (1pm-5pm) to promote her new spring line CJ Truth Collection that includes T-shirts with “Faith,” “Truth,” “Grace,” “Hope” stamped on front and jeans that benefit the Magic Johnson Foundation’s HIV/AIDS initiative. Happy Shopping!!! Please learn more about the Go Red Movement and National Black HIV/AIDS Awareness Day. Let’s support these necessary causes and look fab doing it. Happy Friday, y’all.